Filipina Irish American artist Mikaela McLeish grew up in the age of screens, selfies, and Snapchats. 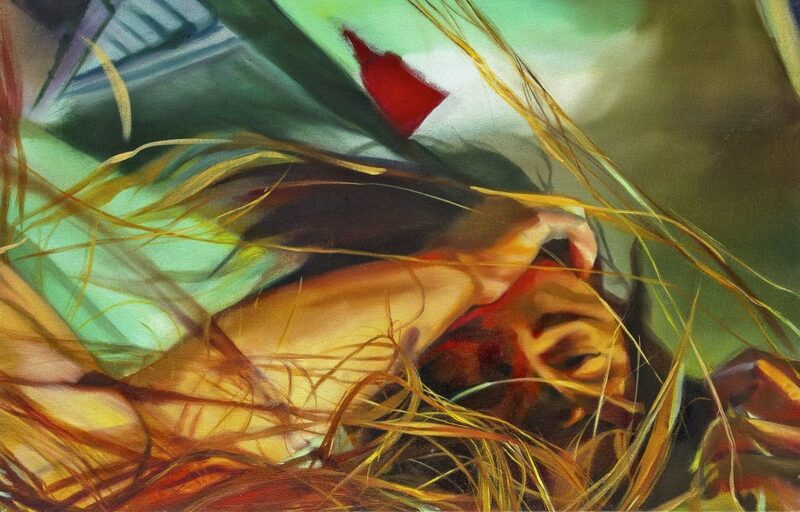 Through painting, she hopes to disrupt the impermanence promoted in the digital age. 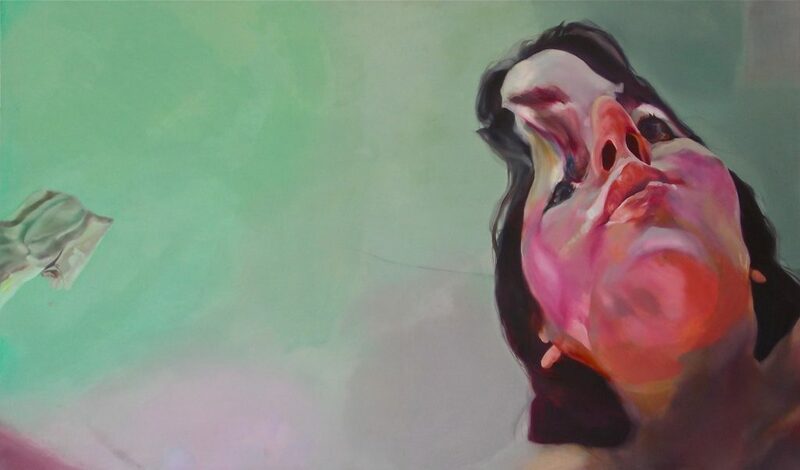 This year’s selected LaunchPad Artist for Art San Diego, McLeish hopes to seduce attendees with the toxic color palette within her paintings and inspire viewers to indulge in the present. 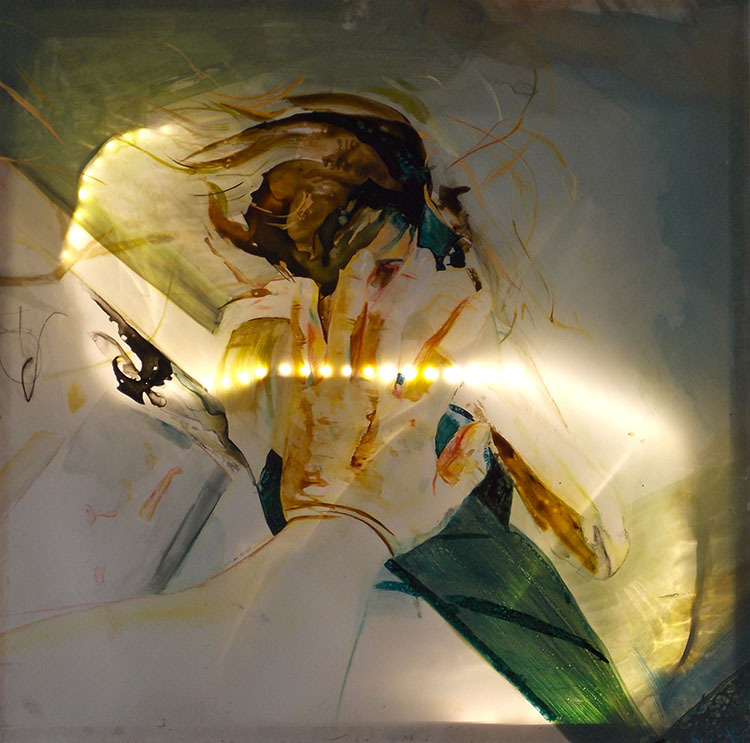 Inspired by Jacques Lacan’s philosophy on mirrors and how they help children develop a sense of self-identity, McLeish’s current work explores ideas of consciousness and the self. 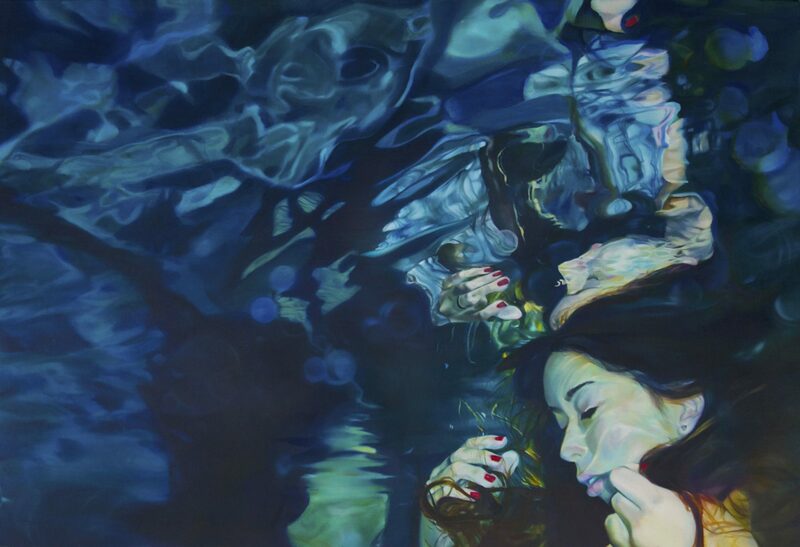 In Doubling, she uses expressionistic brushstrokes and a bold color palette to portray a young woman submerged in a pool, her reflection doubling not only the body but also identity and reality. Described as a visual biography of self-identity, Doubling is intimate and provocative. 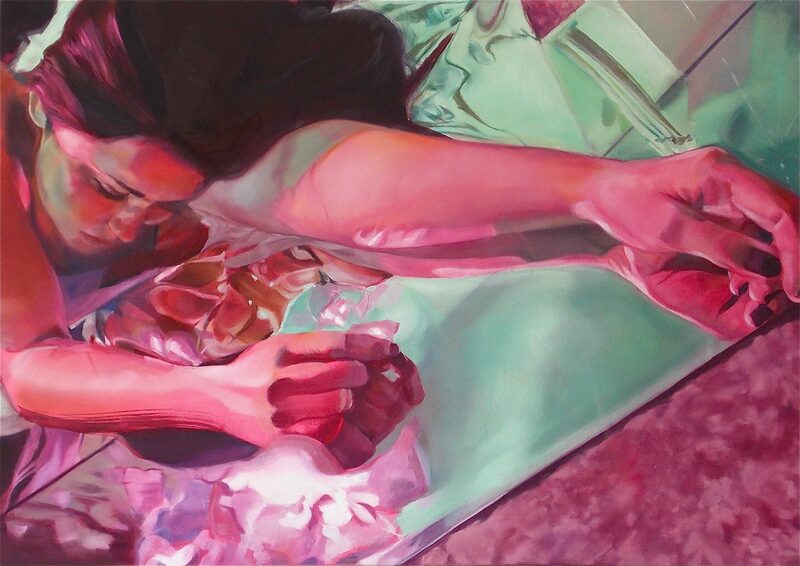 In Hypersomnolence, named after a condition that is characterized by recurrent episodes of excessive daytime sleepiness or prolonged nighttime sleep, McLeish shocks viewers with supernatural colors and incongruous positioning of the arm of the sleeping character. Inspired by the deformed figures of El Greco and Rodin, McLeish conveys the suffering and disorientation of the sleeping disorder. For more of McLeish’s work, check out her limited-edition hardcover book Wish You Were Here or stop by the LaunchPad Artist booth at Art San Diego Sept. 28–Oct. 1 at the Wyland Center.